Training my Godson in the Force – AiPT! Star Wars was easy for me as a child. A New Hope was released before I was born and I was too young to see The Empire Strikes Back in theaters. I did see Return of the Jedi in second run theaters (my sister and I would call them the “dollar movies”), but I barely remember it. I have vivid memories of running out of the theater crying when the rancor appeared to devour Luke, but that may be due to years of my mom making fun of me. Jedi was easily my favorite (Luke looked awesome in all black, plus the green lightsaber is still a personal favorite), Empire was next best (it would be years before I watched the whole thing in one sitting, but I did have one of those big picture books with stills from the movie), and A New Hope had its moments but had too much talking for me. 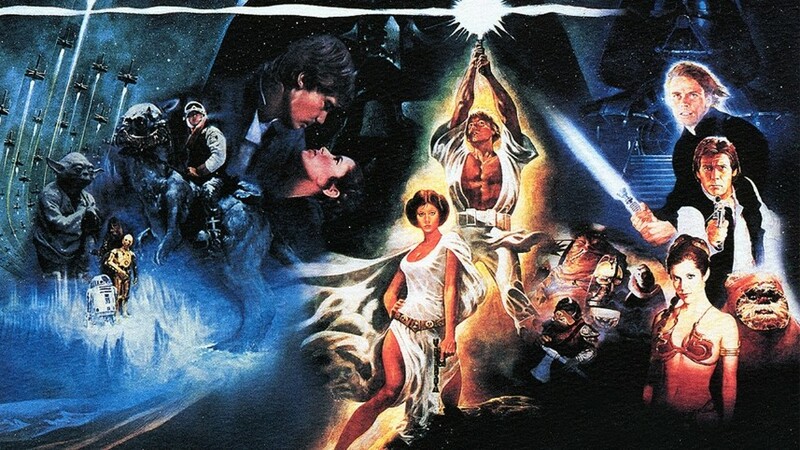 As I grew older, Empire became my favorite by far, I began to appreciate A New Hope much more, and as amazing as some of the scenes looked, I realized Jedi did not hold up to the first two. Still, it was all very simple. There were movies about Ewoks, cartoons about droids and even a Christmas special that I discovered while I was in high school, but none held a candle to the original trilogy of movies. After the prequels were released and succeeded in disappointing me, it never occurred to me that anyone had actually enjoyed them. I was caught completely off guard when my cousin told me that not only did he enjoy the prequels, he thought they were better than the originals! It was then that I decided that I would not let another be seduced by the prequels. The next step was to teach Teddy to control his emotions. In order to teach him how to master his emotions, it was important for me to attach significance to his nostalgia. There was always a positive reason attached to watching the video. Whenever he picked up his toys, acted politely, or just made me laugh, I would show him the clip. I never forbade him from watching it or used it as a form of punishment since I did not want any bad memories associated with the scene. Soon, he started liking Darth Vader and even dressed as him for Halloween. Things have gone well up until now, but the toughest trial is to come. Teddy will soon discover the prequels, and with its garish colors, impressive special effects, and kid friendly characters, I slightly worry about what the future holds. I have already made preparations to fight the inevitable temptation. I rarely discuss the prequels but if they do come up in front of Teddy, I talk about them with obvious scorn. Though he has no idea what I am talking about, I have told him many times that he should never watch The Phantom Menace. I have also reminded him many times about the greatness of the original trilogy. One day he will find the prequels on his own and watch them, but by that point he will have been taught to channel his emotions and disregard any optimistic feelings he may have about Episodes I-III. Nowadays, things are difficult for a new Star Wars fan. Do they start with the much revered original trilogy, the despised prequels, or the newest trilogy that has gotten of to a positive start? With the awesome animated Clone Wars series and the great Rogue One the decision becomes more difficult. Recognizing all the options that are out there, I have taken it upon myself to protect my godson. Jedi Knights like Yoda to Sith Lords like Emperor Palpatine know that the only way to get the most out of the Force is to be in control of your emotions. I have begun Teddy on the road to properly appreciating the best movie franchise ever and will do everything I can to make sure he is not corrupted by the prequels. I hope that he takes these lessons to heart and passes on what he learns.